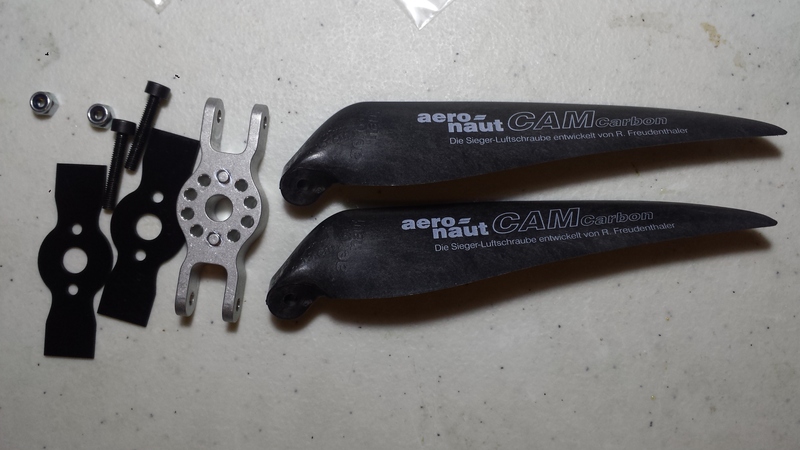 Finding the right pusher propeller set can be frustrating, specially if nobody can be certain if it will “work” in a pusher configuration. 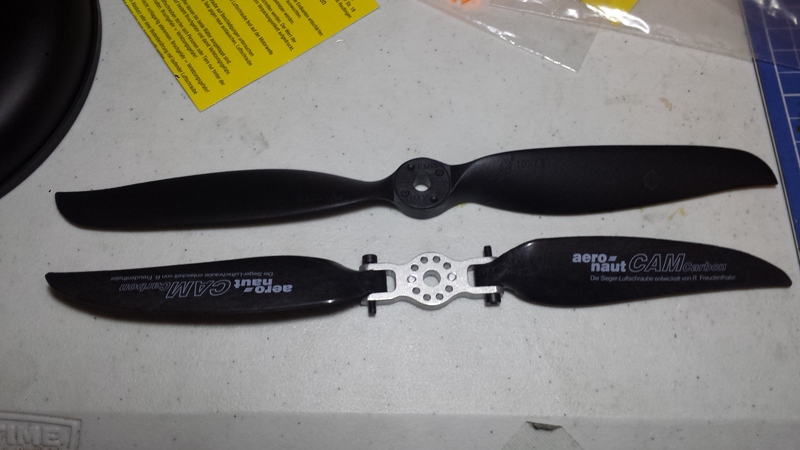 It turns out, Team Blacksheep has exactly the propeller set I’ve been looking for which they stock for their Zephyr flying wings. It’s the Aero-naut Folding Prop Set which seems to packaged specially for Team Blacksheep. At $29.95 it’d be better worth it. 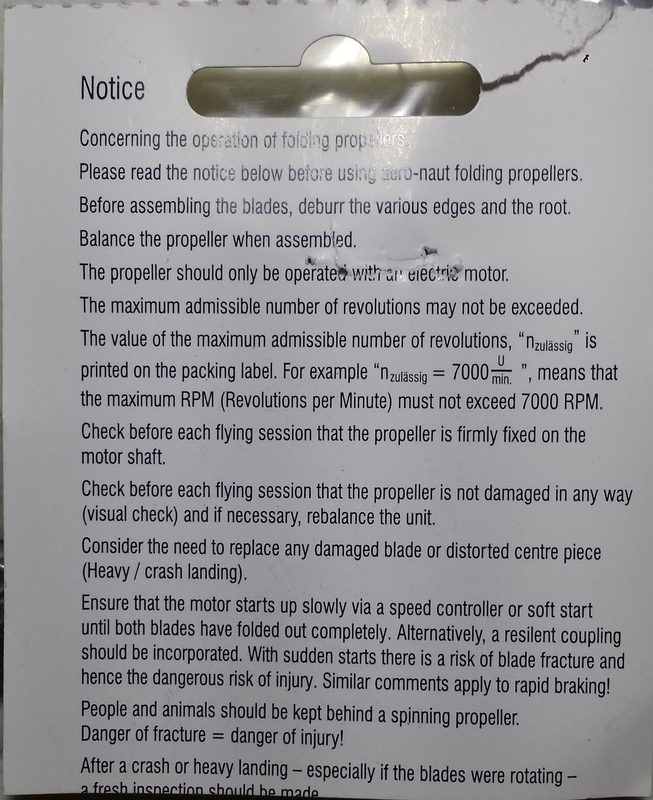 And some very sound warning for folding props.. which I’m posting here. My main issue really with my old SW set up was that the one piece prop was bulky when putting the rig in its box for transport. Ok on to the description of the set.. the prop centerpiece has a 6mm hole (for the shaft) and 8mm space between the prop arm for the prop attachments. The CF props that comes with the kit is 10×5 size. The two black stopper strips which goes to the front and back of the centerpiece to help prevent ‘over folding’ is made out of some plastic, which looks tough enough and which I think is unique to this set. Here’s the measurement of the prop arm spacing using a high tech device. And the prop set compared to a regular 10x5e prop. I’m not so sure how much “push” this particular set can provide compared to the one piece prop. The folding prop seems to have 10-15% less surface area. We’ll know soon enough. Anyhow, the manufacturer of the centerpiece and the props, auro-naut.de, has bigger sized props just in case. 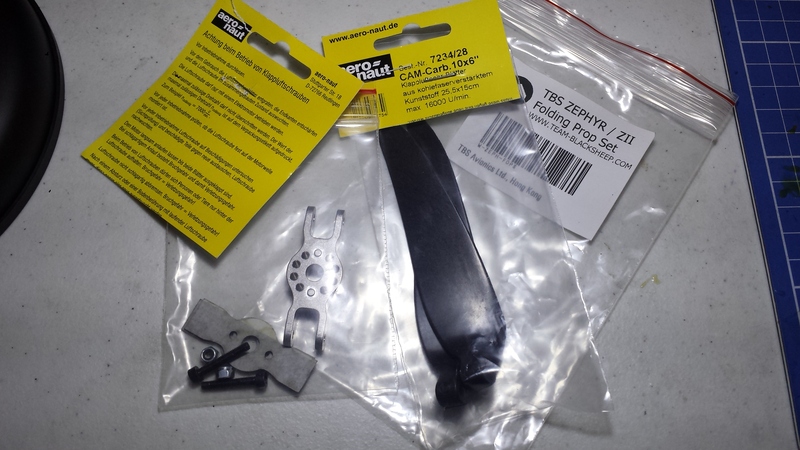 Have a question concerning your folding propeller assembly. Does unit have 7.5 propeller and what shaft size does you unit fit. Have Himax in-runner motor (Moedl # 2815 – 2000) Using on 48 inch wing. hi, thanks for visiting my site.. I got the 10inch prop. 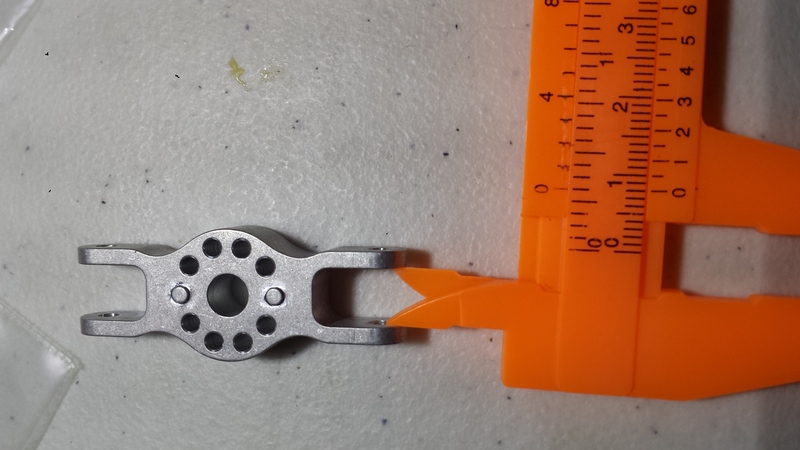 The centerpiece allows for a motor with a shaft size of 6mm. Hope this helps and have fun flying!